Lots of people — about half the folks walking in to Apple retail stores, according to Apple's own estimates — are getting Macs for the first time. Some are switching from Windows PCs, others have been drawn in by their iPhone or iPad. Either way, If you're buying your first Mac, you probably have lots of questions you want answered before dropping a significant sum. We're here to help. Even if you have a lot of experience buying Macs, you can save this link to quickly pass on to friends, colleagues, and family members. If you live near an Apple Retail Store, that'd probably be your first choice, and it's not hard to understand why. The stores look great, you can get your hands on the latest models, and innovations like the Apple Store app for the iPhone and Apple Pay make it trivially easy to get in and out quickly. Unfortunately, not all of us live near an Apple retail store. The closest store to me is almost an hour away. And that's a lot longer than many people are willing to drive, just to buy a computer. Apple's retail stores have proven to be an enormously popular way for people to get Apple products, but they're certainly not the only place where you can buy a Mac. If there's a Best Buy at a mall near you, they stock Macs, though their selection won't be as good as the Apple Store. Still, they make for a convenient place to go, especially if you're happy buying a standard model without a lot of bells and whistles. Best Buy's sport an Apple "store within a store" location where most of the Apple products (and many accessories that work with Apple products) are showcased. So just look around your local Best Buy until you see a glowing Apple logo, and head in that direction. If you're lucky to live near a Micro Center or Fry's Electronics, those are good places to check too. Of course, Apple Retail Stores and Best Buy aren't the only places where you can buy a Mac. I'd also recommend consulting your friendly neighborhood Apple reseller. Apple works with a worldwide network of local resellers that are independently owned and operated, and these are often some of the best places to get really customized help and support after the fact. Disclaimer: I work at one of these on the weekends, so my perspective isn't entirely objective. But if I do say so, we're a great resource for people who don't want to have to drive the hour or so to the closest Apple-owned retail store. We have a lot of really loyal customers that love having someone local, and appreciate our ability to help them and tailor support to their needs. If you come in expecting to haggle over the price of the Mac, expect to walk away disappointed — local resellers won't be able to match the occasional discount on specific models you see online and in big box stores. They don't deal in the sort of volume that make those deals possible. What's more, Apple maintains a very tight yoke over its distributor network. So retail margins on Apple hardware are typically very small. But local Apple-authorized resellers can and often do make deals to get your business with discounts on accessories or services that you can't match anywhere else, even at big box stores like Best Buy. So if you're prepared to buy a package that includes the computer, accessories like a printer, external hard drive or networking gear, and AppleCare, you can often score a significantly better deal than you'll get either through the Apple Store or big-box retailers. Plus you'll be supporting a locally-owned business that put money back into the local tax base, so pat yourself on the back for being a good citizen. Millions of Macs are sold online every year through the Apple Online Store and through other mail-order catalog web sites. Some of the businesses were around back before there really was a World Wide Web: Companies like MacConnection and J&R Computerworld, for example. It's very important to check the credentials of wherever you're buying the computer from to make sure they're an Apple-authorized reseller, or you may have trouble getting warranty coverage after the fact. In fact, Apple actually maintains a list of authorized Apple catalog resellers. Stick to the list to be safe. If you're looking for a bargain, the Refurbished Mac section of Apple's own online store is the best place to start. Apple repackages (in white boxes) and resells Macs that have been returned, right from their web site. I've bought a couple this way and saved hundreds of dollars. What's more, the ones I've bought have been in pristine condition — you wouldn't know to look at them (except for the fact that they ship in white boxes instead of Apple's typical retail trim) that they're open box returns. And they come with full warranties and are eligible for AppleCare coverage, too. The only downside is that Apple doesn't have the latest selection and configure-to-order options, so you're limited to what's actually in stock. Finally, if you're affiliated with an educational institution, either as a student or as faculty or staff, you can often score an educational discount via Apple's Store for Education. 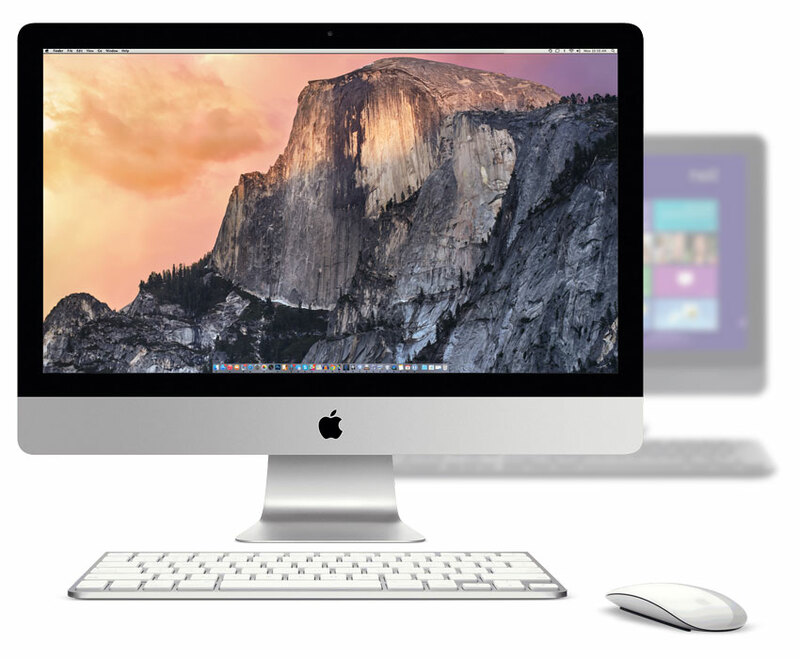 Hopefully this will give you a leg up on your hunt for the right Mac and the right price, from the right retailer. I welcome any questions, comments or observations, so please let me know if you have anything you'd like to add.